When the crusher equipment is idle, it will rust when it is not in the humid air for a long time. If it is not used, it must be well maintained. Before it can be used again, it must be thoroughly inspected and maintained. It should be run at no load for a period of time to ensure the safe operation of the equipment. 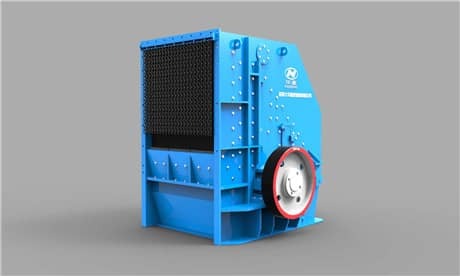 Avoid overload operation, overload operation will accelerate the reduction of the life of the crusher #Impact Crusher, the crusher should be operated correctly in strict accordance with the operating instructions, and regular maintenance. 1. Review whether the screws of the fixed machine can be loosened, and whether the foundation of the carrying machine can be soft. 2. Review whether there is any foreign matter in the crushing chamber of the crusher, including the materials left in the cavity, various production tools, iron wire, iron block, etc. 3. Review whether the safe method of the crusher can be perfect. 4. Examine whether the bearing of the machine, etc. which need to be smooth can be smooth well, and whether the lubricant in the dilute oil station can be short. It is believed that the crusher is a machine that is often used for high-strength grinding when crushing stone. However, if it is not prepared before the crusher is used, it will affect the production volume, and in severe cases, it will cause damage to the crusher and cause serious safety. Therefore, by doing the necessary preparatory work with the "inch", you can reduce the chance of the machine breaking down at a certain level. These so-called problems can be solved.